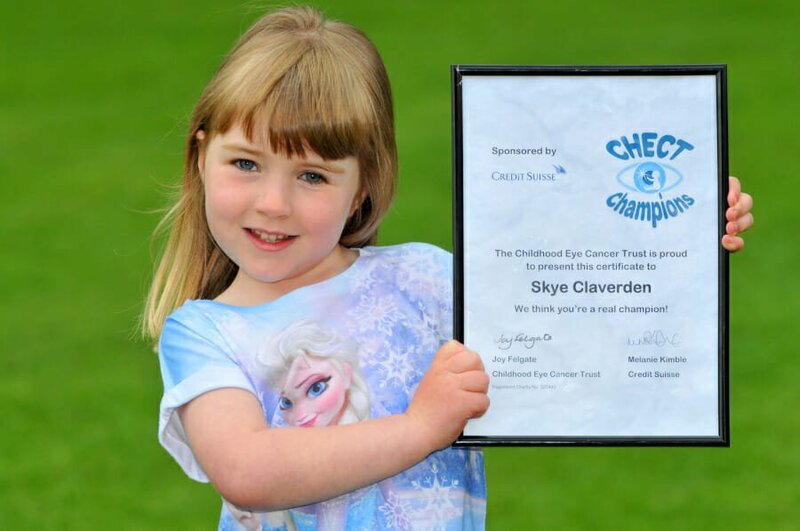 More than 40 courageous and determined children won a CHECT Champion award in 2015 and we’d like to say a huge well done to each and every one. They came from all across the UK and they ranged in age from toddler to teen but they have one thing in common – they have all been affected by retinoblastoma in some way and have shown outstanding bravery. 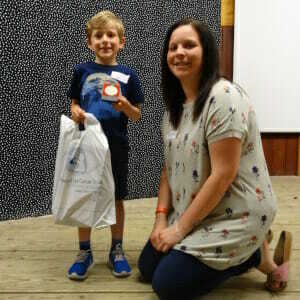 This year the award was presented at special ceremonies during six different Members’ Days to 42 deserving winners, including children who have battled retinoblastoma and their supportive brothers and sisters. We know that when a child is diagnosed with cancer it can cause huge disruption and upset to family life, not just on the patient but their siblings too. 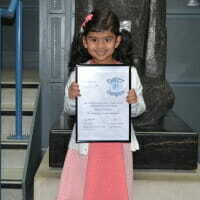 So we established the CHECT Champion awards to recognise children who’ve shown courage in a number of ways. Perhaps they’ve been brave in clinic, overcome a challenge in managing their artificial eye or shown outstanding patience when their brother or sister has needed to attend hospital. 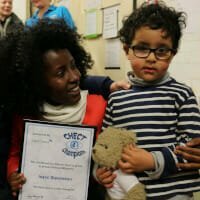 We’re extremely proud of our growing number of CHECT Champions and each award presentation is a great way for parents, and also for the CHECT team, to congratulate and thank some amazing young people. Do you know a child who deserves to be recognised for their bravery in dealing with retinoblastoma, or supporting a sibling who has Rb? Nominations are now open for our 2016 CHECT Champion awards and ceremonies will be held at our Members’ Days throughout the year. If you’d like to nominate someone, please download a nomination form. Each child selected for an award will receive a framed certificate, presentation medal and a small gift to recognise their achievements. If you have any questions at all, please email Matthew Croxall, our development manager, at matthew.croxall@chect.org.uk.